The virtual platform has opened up a wide range of earning opportunities for entrepreneurs, bloggers, designers and professional who want to expand their business globally. The best way to create a solid web presence is by launching your own free website. A website gives your business the much-needed credibility and extra appeal for maximizing your reach. Today almost anyone can develop attractive and dynamic websites with the free and user-friendly website builders available. Gone are the days when you would have to hire professional web designers and coders to create websites for you. With responsive drag and drop website builders, you can create fully functional websites and web stores in a matter of minutes! If you are looking for a simple and easy website builder for newbies, this is the right place. Discussed below are 10 such robust and easy to use website builders ideally suited for beginners and amateur web users who want to establish a strong online identity. Wix is a blank canvas drag and drop editor that uses ADI or artificial design intelligence to develop websites. This free easy website builder comes with an intuitive WYSIWYG interface that gives you a preview of how the website would appear to the reader once published. The platform has gained popularity over the years supporting big events like the Super Bowl 2017 campaign. Currently, Wix is handling over 90 million websites and is easily one of the biggest web development platforms in the market. Wix is an easy to manage website builder that offers both free and paid plans to its clients. Browse through the wide list of third party applications and extensions such as newsletter tools, live chat software and online booking widgets in the App Market. The in-house editor is loaded with the latest customization tools and features for tweaking the content, adding images, embedding widgets and graphics to your website. Here, you can even create contact forms, add social media plugins and build community forums. SEO tools, CMS solutions, over 500+ themes and mobile friendly interface only enhance the appeal and reach of your website. Wix also comes with cloud support and offers unlimited storage and bandwidth, and automatic data backup functions for better protection against online threats. 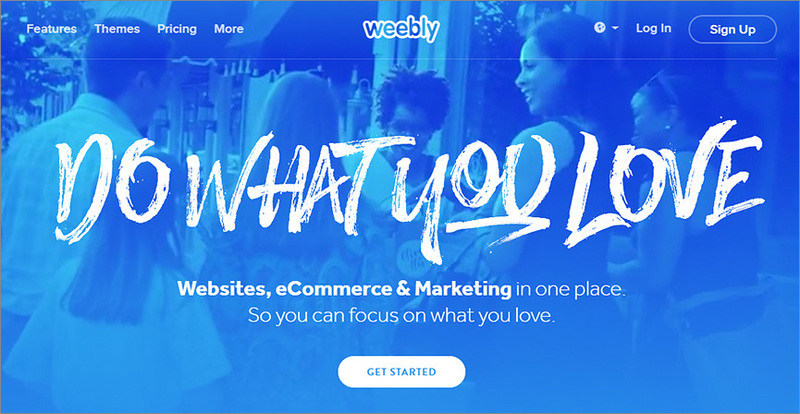 Weebly is among the easiest free website builder tools for designers, artists, and entrepreneurs who want to launch dynamic and engaging websites without writing a line of code. The open source SaaS based platform is a great solution for newbies and also well suited for both established enterprises and growing startups offering beginners free web hosting, domain registration services, and other perks. Weebly covers all aspects of website designing and e-commerce leaving you with ample time to concentrate on other aspects of your business. The interactive interface and built-in image editor come with all the necessary tools and customization features required for tweaking the website to your liking. You get integrated SEO solutions, CMS tools, e-commerce functions and Google Analytics support with the click of a button! Weebly even allows novice webmasters to edit the HTML5 code and CSS style sheets if they have the required technical skill. The websites you create are compatible across all devices and include features such as PayPal integration, and automatic tax calculator, digital gift cards, and an App Centre. The App Centre is armed with the latest applications and external plugins for enhancing the visibility of your website. Weebly also comes with cloud support offering the client unlimited bandwidth and over 500MB storage space to design ad-free, multiple web pages, and websites easily. If you want to start your website for free, choose this. 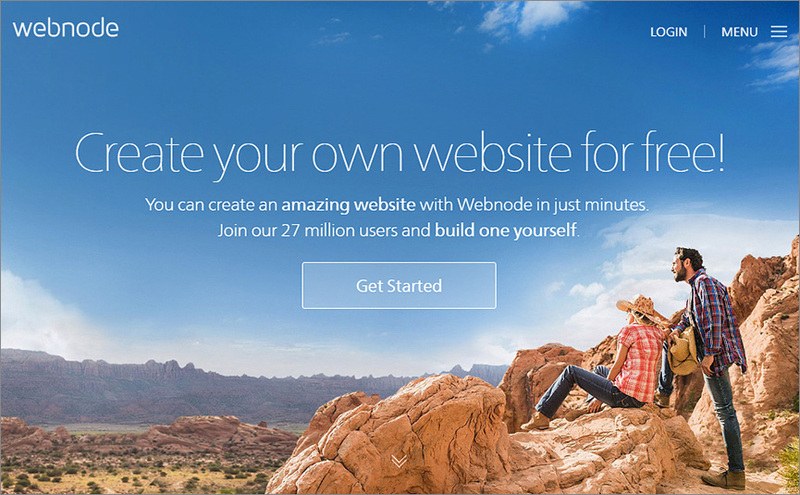 Webnode has over 27 million customers worldwide and is clearly a tough contender in our list. The free and easy to use website builder supports all kinds of online ventures, e-commerce websites and web stores that want to expand their audience base and earn maximum profit. 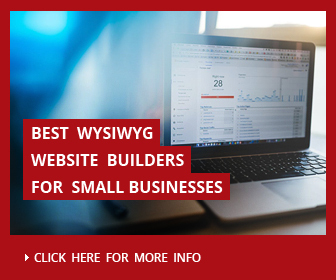 The website builder is suited for first-time users thanks to its robust and responsive interface that works on a WYSIWYG drag and drop framework. This means you can easily add elements and customize it to your liking with a simple click. The websites you launch using Webnode are all compatible with Android, Mac and Windows devices. Webnode comes with a free sign-up feature from MailChimp and Constant Connect. Webnode is truly international platform that supports multiple languages and includes a powerful customer support forum, helping you build the free website you want. The in-house editor and dashboard feature loads of attractive themes and pre-set layouts for amateur designers. Webnode has a much-organised framework where the main page is divided into many segments, each section holding an individual element that can be separately customized to your liking. With WebNode you can even create contact forms complete with radio buttons, check boxes, date box, and other features. Both paid and free plans offer clients an ad-free interface, free web hosting and domain services. On the downside, the platform has a few content widgets and external plugins. 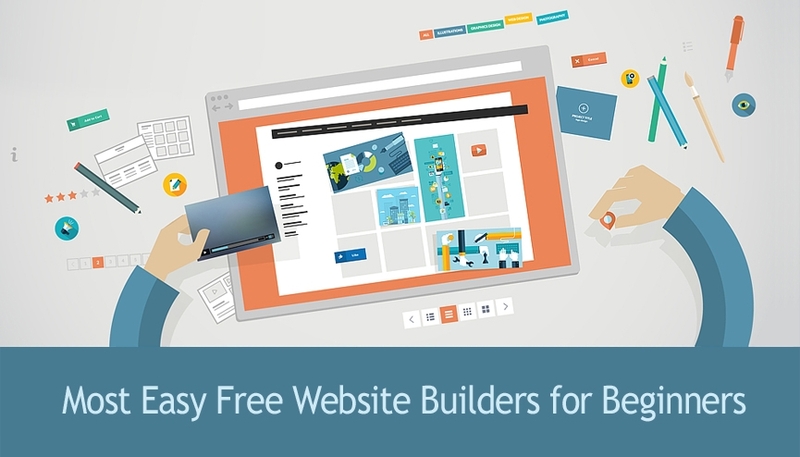 Jimdo is another popular free and open source website builder on our list that is perfect for beginners and professionals to create a quick and easy free site. Jimdo has launched over 20 million websites till date and is known for combining the best of technology and creativity. The on-site editor is specially designed to suit newbies; the interface features a point and clicks operation for inserting content and customizing it in a jiffy. Jimdo even offers its customers a solid cloud backup, unlimited storage space, and a wide bandwidth. The platform runs well on all Android, Mac and Windows devices and supports over nine languages. Jimdo comes with a very intuitive and responsive drag and drops interface. The style menu is loaded with the latest editing tools and Google fonts; you can also access a wide range of templates and graphics from the dashboard. The SEO enhancement tools and CMS solutions give you free reign over the page title, meta description, design and URL of the website. 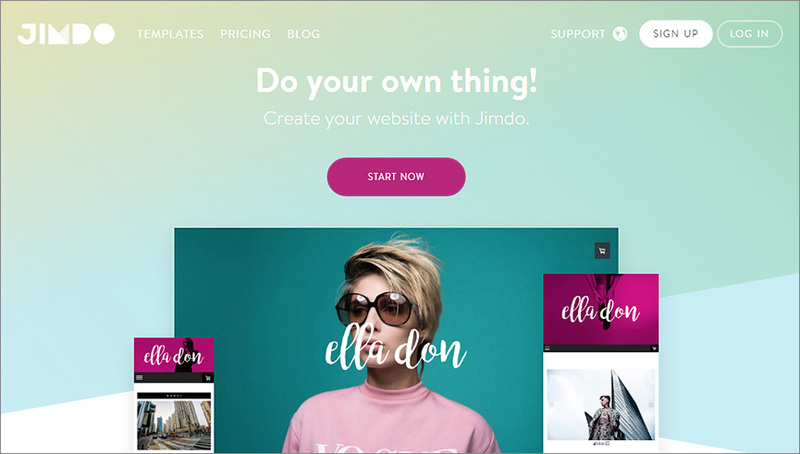 Jimdo is an all-in-one web development platform that supports blogging, e-commerce and form creation. The website builder even comes with embedded YouTube and other social media network widgetsthat boost the visibility of your content considerably. Everything you post via Jimdo is protected with an SSL encryption thereby securing the authenticity and credibility of your website. 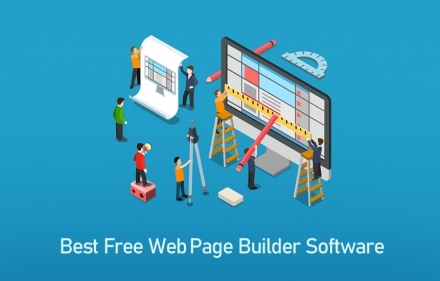 Webs is a free website builder best suited for entrepreneurs and designers who love experimenting with the various website development features and like to control every aspect of their web platforms. It’s particularly easy to handle for beginners. Webs is known for its simple and easy to use the DIY framework and WYSIWYG functionality. The multipurpose platform takes care of everything from website building to blogging and e-commerce solutions. Here, you get the complete creative freedom to control everything about your website, from customizing the content to publishing and promoting it online. The drag and drop interface comes with a separate image and text editor where you can add elements, tweak the design, add themes and even edit content in real-time. The website builder also allows users to create websites the old-school way, i.e. by tweaking the HTML5 codes and CSS stylesheets. Webs offer customers some powerful SEO enhancement tools, CMS solutions, email marketing applications, and social media support that expand the reach and visibility of the website. Here, you get to access an extensive range of premium quality templates, customizable themes, and beautiful graphics absolutely free of cost. All the websites created via Webs can be accessed across different devices and web browsers. The free package offers clients 500MB bandwidth, 40MB storage limit, and free web hosting, you’ll have to purchase the premium plans to access the more advanced features offered by Webs. IM Creator is a sleek, no-nonsense, easy to manage, and elegant website builder that is best suited for budding artists and designers who want to make it big in the industry. The state-of-art website builder is professional and easy to use including some of the latest features and customization tools for designing and developing premium quality web pages and stores. The platform also offers users free web hosting, domain registration, and cloud support. IM Creator is known to have supported over 11,240, 766 websites worldwide and is a smart choice for newbies who want to establish a strong web presence. IM Creator is not your typical website builder, it comes with some of the best e-commerce solutions, SEO tools, CMS integrations and editing options that increase the reach and appeal of your website tenfold. With IM Creator you can not only build dynamic websites but also create your own web stores, portfolios and blogs without having to deal with complicated coding or other technical stuff. The platform is a very cost effective option for beginners who want to expand their business globally and monetize on the content shared online. IM Creator allows users to create both single and multiple web pages complete with SEO support, Google Analytics integration, e-commerce solutions provided by ShopRocket. WebStarts, as the name suggests, is a free website building platform that solely focuses on helping a first-time user or newbie to create fully functional and dynamic websites easily. It is perhaps the most systematic and organized of platforms on our list and covers all the basic functions and editing tools you’ll need. WebStarts is a blank canvas editor that allows you to add elements and edit them any way you want to. The easy to use drag and drop interface works on the WYSIWYG framework and gives you a preview of the website exactly as it would appear on the browser once published. The interactive interface is divided into a different grid, each grid controlling a separate element. The unique grid-view design of the website builder keeps the interface clean and clutter free. Here, you can not only create websites but also develop blogs, web stores build portfolios and design contact forms in minutes. The content can be accessed across all devices and browsers. Also, the website builder offers MailChimp integration for better email marketing support. The free package of WebStarts offers free web hosting, domain registration, unlimited bandwidth and storage space, automatic cloud backup and powerful security against online threats. Explore the more advanced features by switching over to the paid and premium plans. WebsiteBuilder is a simple and easy free platform that has been around for quite some time now and has a reputation for being one of the easiest website builders for first-time users. The platform doesn’t involve any hidden costs or trial version, you can access the features and services free of cost. However, the premium and paid packages are also available for users who want to explore the more advanced functions that WebsiteBuilder has to offer. Here you can build multiple web pages that are fully compatible with different Android, Mac and Windows devices for wider reach and better visibility. Here, you can create websites using the drag and drop interface or follow the old-school process of tweaking the HTML5 codes and CSS style-sheets. WebsiteBuilder.com comes with over a thousand template combinations, SEO improvement tools, analytic solutions, social media features and CMS integrations that simplify the whole web development process for you. The platform is pretty easy to use allowing you to edit and launch your websites in a single click. The starter plan is free and comes with free web hosting and domain registration support. The website builder even supports real time customization of the content allowing you to update the information on your website after publishing it. What are website builders and how do they work? The Internet, let’s face it, is this whole parallel universe that’s as important as the tangible, real world we all live in. And just like your body, voice, personality, and intellect are your identify in the real world, your website is your identity in the digital world. Got something to share with your friends and family? Want to voice your opinion on events in your town? Got designs to share with the world? Looking to sell your old stuff? Want to expand your business? A website is all you need. No wonders, then, that newbies, Internet hobbyists, design enthusiasts, entrepreneurs, and digital adventurers want to know everything there is about staring their website. That’s the first question anybody needs to answer, really, if they want to make it big on the Internet. Traditionally, there have been several limitations, constraints, specialized skill set requirements, and hefty price tags associated with websites. Just about a decade back in time, creating a website used to be an onerous task. You’d need specialized knowledge of web development languages like HTML and CSS, to begin with. Then, you’d need to find affordable web hosting, followed by registering a domain name for the website. All these efforts would only yield a basic website, meant more to broadcast content to the world, more than anything else. That’s till the time website builders came to the fore. Today, the world of website creation is exciting, inviting, and rewarding, courtesy website builders and website creation platforms like WordPress. These platforms take pretty much all the technicalities out of the game, enabling anybody to create a very good looking, feature rich, and scalable website within a few minutes, quite literally. Website builders exist in the form of online or downloadable platforms that bring together all the facilities and functionalities you need for creating a website. These platforms focus on delivering all the tools, widgets, options, and settings required for website creation in an intuitive, visually aided manner, so that newbies and beginners can create a website even without any knowledge of HTML and CSS. Website templates: Website builders offer you dozens of website templates designed by professionals. You can use these templates and build your website on top of them. On a practical front, this completely solves your web design problems, and lets you quickly add your content on top of an already executed design, resulting in an aesthetically pleasing website. WYSIWYG, Drag and Drop Powered Editor: Of course, you’d need to edit parts of the design to make your website unique. Traditionally you’d need to know HTML and CSS coding to be able to pull design editing off. Else, you’d need a web designer in your team. With a website builder, however, you get a What You See is What You Get styled editor interface, powered with drag and drop content management. This means that you can drag content elements and drop them on the desired position to get the content layout as you want it. Hosting and domain: Website builders make it very easy for beginners to create their website by helping them get web hosting as well as domain name for the website. Most website builders allow you to host your website on their servers, and you get a free domain from them, although it comes with the service’s branded sub-domain. For instance, a website called MyProject built using a website builder called Magic would have its URL in this form – www.myproject.magic.com. Why website builders are easy to use? The one thing that makes website builders so amazing is the ease they bring in to the whole website creation process. You don’t need to know code, you don’t need hundreds of dollars, you don’t need to hunt for web hosting, and you don’t need to ask a web designer to lend you his/her services – that’s how easy it gets. 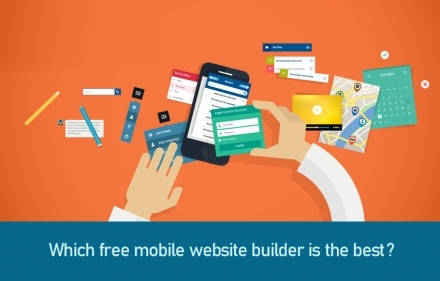 Here’s the lowdown on what makes these website builders so easy to use. Modern website builders offer you website templates spread across categories such as portfolio, blog, e-store, journalism, sports, and what not. This way, you get a professionally designed website theme and just need to add your content on top of it. You can even fund a lot of responsive website templates that make your website mobile friendly. Website templates often come with sample text and content, to help beginners decide how they can paste their original content on top of the preset content, saving them time. Some website builders even offer you special website template creation service for a fee, enabling you to make your website totally unique. Most importantly, the WYSIWYG styled web page creation makes it super easy for beginner to go about creating content on their websites. Such editor interfaces provide a sidebar containing several preset content widgets, such as text boxes, images, slideshows, video boxes, icons, page dividers, buttons, drop down lists, etc. Users can simply click on the widget of their choice, drag it to the position they want the content to appear on, and drop it there. Then, users can add content and explore widget specific settings (such as text size, font, and alignment, for text widget). In addition to this, beginners are able to see what their web page would look like right at the time when they’re designing it. This eliminates post-publishing corrections and back and forth on design issues. Plus, you get widgets that add a lot of functional power to your website. Right from social sharing icons to chat boxes, you can add elements just by dragging and dropping widgets. The kind of customization possibilities this opens up is amazing, as well as convenient for beginners. In this manner, WYSIWYG and drag-and-drop powered website creation becomes the biggest differentiator for website builders. What is the difference between website builders and WordPress? An important question that you might want to ask is – what about WordPress as a website builder? Well, technically, WordPress is a CMS, that’s a content management system. Inherently, content management systems have a steep learning curve, are highly sophisticated, and can help you develop website much more advanced that what a website builder offers. In this section, we’ll explore the differences between website builders and WordPress CMS by exploring the pros and cons of both. They’re super easy to use, courtesy the availability of professionally designed website themes and drag and drop visual editing interface. Web hosting and domain name hosting are provided by website builders, letting beginners focus only on the website content. Website builders offer advanced functionalities such as social media and email marketing, ecommerce, website memberships, etc. With dedicated plugins and add-ons, you can add additional functionalities to your website made using a website builder. Several website builders make it difficult for you to switch platforms, as the website templates are coded using proprietary coding techniques, and hence it becomes difficult to export the content to another platform. Though there’s a lot of scope for customization, but to really alter the bones and skin of the website, you need HTML and CSS expertise. The subscription based pricing can prove to be costly in the long run, although it offers initial ease of starting up. Because it’s open source, WordPress can be used to create the most sophisticated websites possible. The CMS functionalities of WordPress allow you to realize any kind of customization to your website. Wordpress is among the most popular CMS platforms, and hence, you will always have access to hundreds of free WordPress compatible themes and plugins. There’s a tremendous amount of information available online for WordPress users, helping them troubleshoot problems and make the most of WordPress features. Wordpress falls behind modern website builders in terms of the visually aided and guided website building facilities offered by the latter. Almost always, you need to be ready to tweak some settings, or do some code tweaks, to make plugins and themes work seamlessly. The WordPress user interface and user experience design is rather abstract, which means you need to be prepared to search, experiment, and explore to be able to succeed. Unless you use a drag and drop editor plugin for WordPress, the user experience of post creation is rather limited, as the CMS only offers basic WYSIWYG capabilities. The Verdict: Particularly for beginners, website builders offer a more convenient, guided, and visually aided website creation experience, as compared to WordPress. What is the process of website development with the help of website builders? Now that you know the basics of how website builders work, let’s take you through the basic website creation process using them. First up, you will need to sign up for the website builder’s service. Just go to the home page, and you’ll see the sign up button. Most website builders keep it very simple, asking just for your name and email ID to sign you up. There are others that require you to enter your credit card information, even though you’re not charged anything. There are a few offline website builders that need you to download an installer package, and then sign up. For the scope of this guide, we will focus only on online website builders, where there’s no download required. Once registered, you are taken to a catalog of free and premium website templates, generally organized over several categories, such as sports, news, photography, e-store, blog, etc. It’s good to have the option of switching the website template in the future, if needed. Some website builders don’t offer this facility, so make sure you choose a template you’re likely to stick with. Also, look for responsive website templates so that your web content is delivered coherently across all kind of screen sizes. After selecting a template, it’s time to add your content on it, and customize the design. Like we explained earlier, you will get a drag and drop styled content widget display on the editor, along with WYSIWYG mode to help you preview the outcome in real time. You can add pages, design the navigation menus, and manage basic settings such as SEO. Once you are satisfied with the content, design, and basic settings, publish your website! Once you get a few posts going, you can dig deep in to the settings and customizations that the website builder offers. Social media marketing, email newsletter campaigns, image slideshows, landing pages, integrated blogging, latest post and most liked post displays, and a lot more – you will have your hands full, really. Plus, you might want to explore the app stores and plugin catalogs available for the website builder, to add very specific functionalities to your website. After the initial phase of content posting an functionality activation is done, your interactions would mostly be with the management dashboard from where you can see statistics about your posts, can schedule new posts, see customer activity, moderate comments on post, and do similar routine housekeeping stuff for your website. We understand that this question will trouble the minds of beginners in the world of website creation. Thankfully, modern website builders don’t really require you to learn or showcase any technical or design skills. You just need to focus on your posts content and the core idea of the website, nothing else. A little bit of HTML knowledge can help people carry out more advanced design tweaks in their websites, but with the customizations that drag and drop content editors make possible, that’s really not a must have. Apart from basic Internet browsing and search skills, you don’t need any technical grasp over matters related to web hosting or domain name registration to get started with your website, when you use a modern website builder service. A few years back in time, you would have had to spend time in learning basic SEO to make your website do well on search engine result pages. However, website builders make it easy for you by giving step by step procedures of putting basic SEO in place for your website. Also, you don’t need to know anything about website design to be able to pull off a stunning looking website; that’s courtesy the professionally designed templates offered by website builders. What are the different kinds of website builders? Now that we’ve covered the bases, and you’ve got some kind of idea about how they work, and you can manage your website using one of them, let’s tell you more about the different kinds of website builders on offer. These are niche website builders with special focus on specific interests. Also, there are well known all-in-one website builders that have expansive features to cover general as well as specific requirements. These website builders provide templates appropriate for an ecommerce store, although the complexity of the website is not as much. You get basic PayPal payment processing, limited product pages, and pretty basic order management features with such website builders. Ecommerce focused website builders offer powerful features such as unlimited product pages, digital content sales, marketing features, discounts and promotions management, customer loyalty programs, etc. It’s pretty common for ecommerce website builders to offer dedicated account management, if you want to manage a pretty large ecommerce enterprise. A website builder dedicated for blogging will come with a massive range of templates, and extensive features to help you promote your blog posts via social media and email marketing. Website memberships, newsletters, advanced SEO are also pretty useful functionalities in a website builder focused at bloggers. An increasingly large number of websites have come up, and these represent the online identities of service professionals of all kinds – restaurants, wedding planners, doctors, lawyers, and more. Such website builders offer special functionalities aimed at helping you bring in more leads and clientele for the service professionals. Important functionalities include appointment booking and scheduling widgets, billing systems, menus and rate cards, etc, and mobile search optimization. 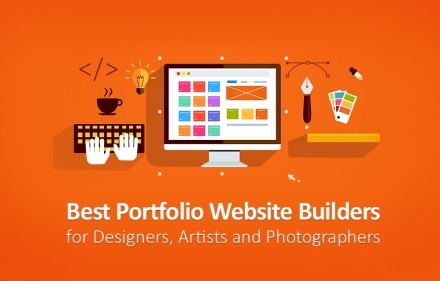 Photographers, authors, designers, and artists from all walks of life can make use of online portfolio website builders to create a catalog of their work online. Such website builders go a long way in bringing in new leads, provide a safe repository of their digital work, and serve as a constantly updated online destination where people can reach out to them. Which factors you should pay attention while choosing free website builders? Here’s some good news – there are free website builders available, with pretty much all the features you need to create a good looking website. That said, here are some tips you’d do well to remember as you try to find out a good and suitable free website builder. Look for a website builder that has been in business for a good number of years; these are the likely ones that will keep on innovating, because they’ve been through the tough times! 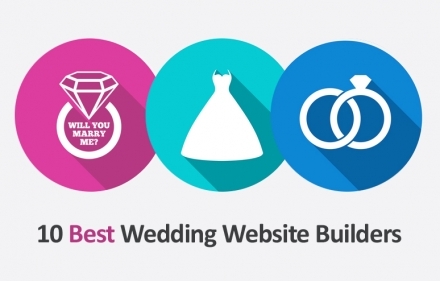 Check how many websites and e-stores are already built using the website builder. A service that has real business presence will be able to keep its free version viable for experimenters like you. Ask – how easy and useful is it to contact the customer support team of the website builder? Email, chat, and telephone support are the norms. You don’t want to be stuck with technical issues with no one to rely on. The free trial and money back proposition offered by the website builder to help users try it out is pretty useful. Don’t bother with a website builder that makes it tough for you to part ways. You would definitely want to make a sophistication versus ease of use analyses for the website builder you wish to consider. Look for the most important functionalities that you can’t do without, and see if the website builder bundles it in the free version. Look for the number and quantity of resources in the free package; for instance, the number of web pages, product pages, bandwidth, and storage space offered. In some cases, it might be useful to opt for the entry level or mid level subscription package of a website builder service, so that you can use premium features to differentiate your website from others. 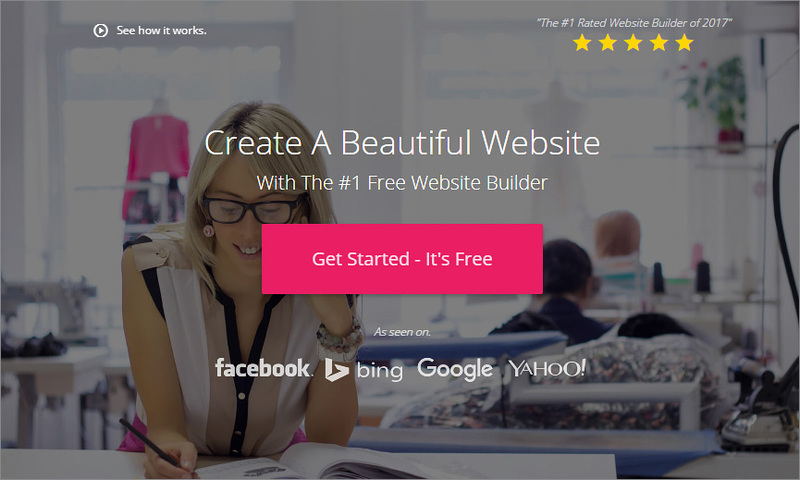 Conclusion – which website builder will be the best one for beginners? There are so many website builders out there that it can be tough for beginners to make sense of the choices and choose a suitable one. The important point is to first enlist the most desirable functionalities you need to make your website successful. If you want a website builder that helps you create a functional website within an hour, and makes it equally swift and easy to maintain and customize, it, consider using Wix. 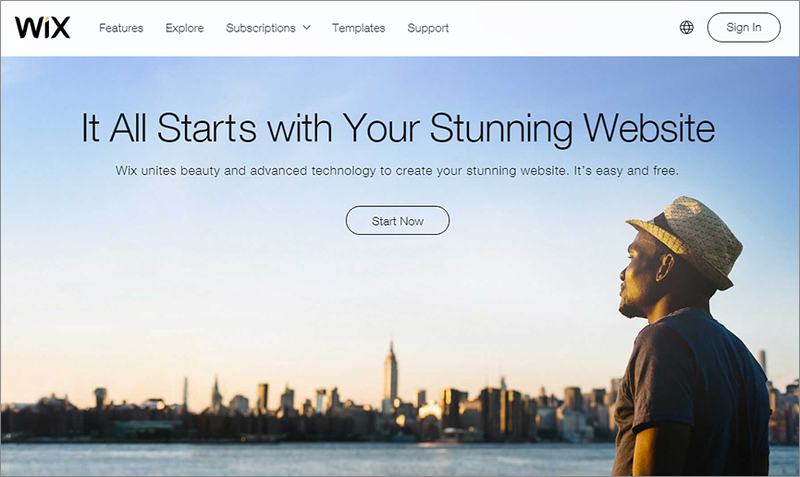 Weebly is another great option for beginners who want a super quick and super easy platform to create a website. On the other hand, if you want to work with a website builder that hands you some pretty good design features, Sqaurespace is a pretty good bet. Its range of free templates is pretty special, and the range of customization options on offer is mind blowing. Wix and Squarespace also do pretty well in terms of the availability of knowledge documents, FAQs, and discussion forums for users to get answers to their queries, and learn more about the functionalities on offer. Shopify is a pretty awesome ecommerce store builder, and among the best in the business, with pretty much all the sales and marketing management features you could ask for. Bigcommerce is another worthy proposition, filled to the brim with functionalities that will help you sell more. To wind things up, here’s some advice. A website builder will make it amazingly easy, inexpensive, and enjoyable for you to create a website. To make it successful, you will need to invest your creativity, skills, and hard work; best of luck.